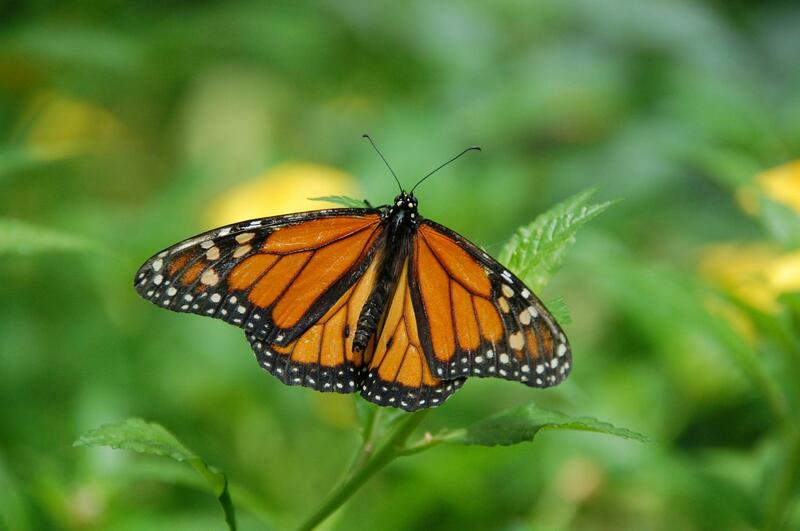 The researchers analyzed "chemical fingerprints" in the wings of butterflies collected as far back as the mid-1970s to learn where monarchs migrate within North America each autumn. 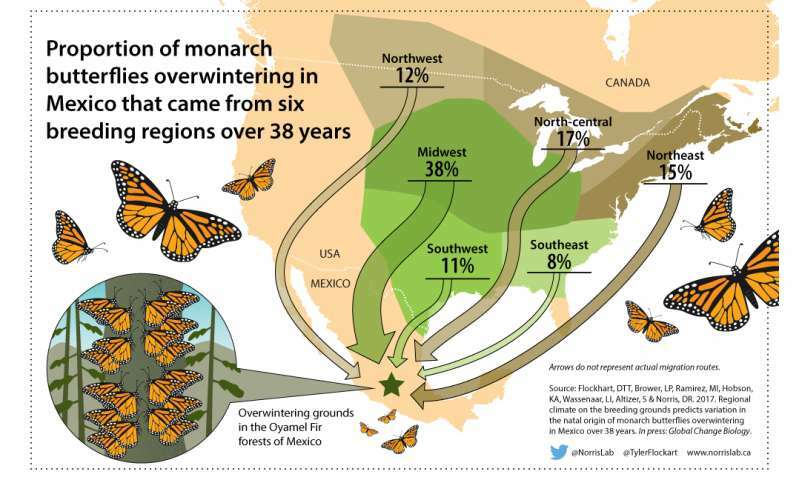 The largest percentage of monarchs migrated to Mexico from the American Midwest, but the biologists were surprised to find that the insects' origins were spread fairly evenly throughout Canada and the United States. 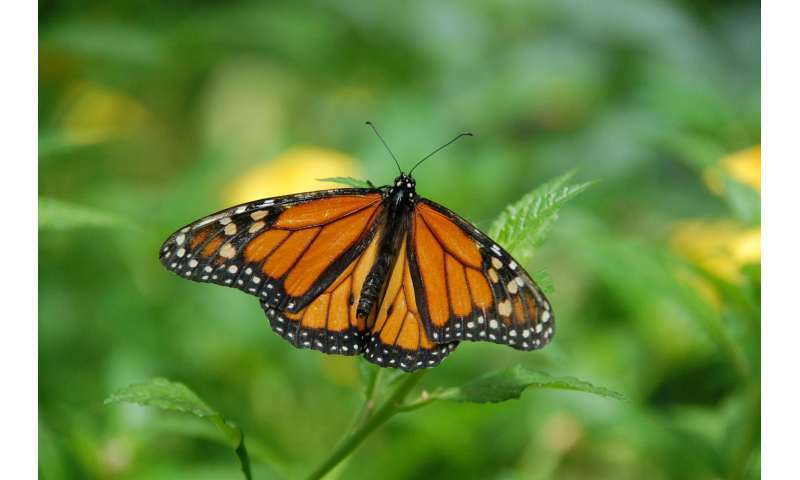 "We expected the vast majority of monarch butterflies to be found in the Midwestern states," said Tyler Flockhart, lead author and Liber Ero Postdoctoral Fellow at U of G.
"However, just 38 per cent come from that part of the U.S.A. If we just focus conservation activities on this area, this research shows we will be missing a large number of butterflies born elsewhere in North America." "We didn't see the decline in the proportion of monarchs we expected in the breadbasket of the U.S.—the Midwestern states—due to the loss of milkweed, but that could be because monarch numbers dropped across North America," said Flockhart. "We're facing a growing crisis of species extinction, not just with monarchs," said Norris, co-author of the new paper. 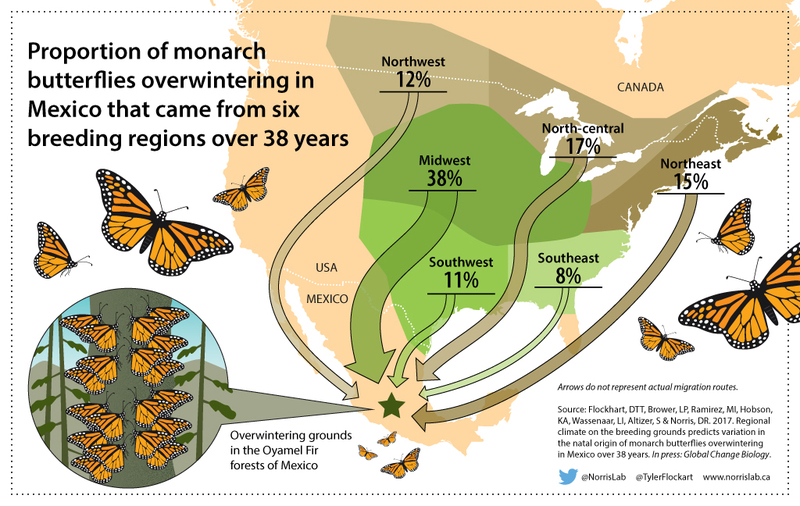 "While the Midwest U.S.A. is top-priority, effective conservation of monarchs will require initiatives to restore and conserve habitats across the species range, which means there must be coordinated international initiatives."